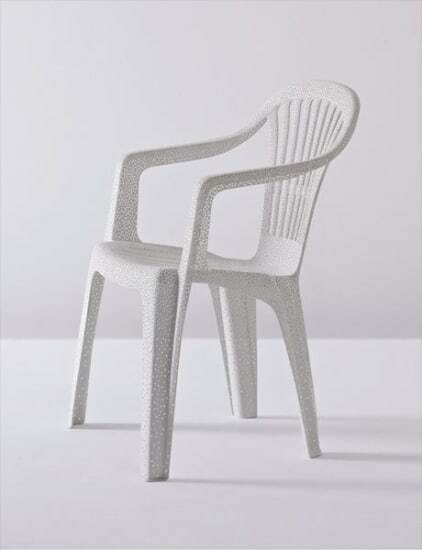 Perforated and sanded pre-existing plastic chair. 79.5 cm. (31 1/4 in) high. Self produced, Germany. Number 11 from the edition of 33 unique pieces plus one artist’s proof and one prototype. Underside of chair with plastic label ‘TINA ROEDER 11 / 33’.